Because when I think islands, I think hummus. Summer means margaritas, Easter means ham, and movies are all about the popcorn (in my world: homemade truffle popcorn). 'Hummus and island' might seem an odd combination - you might think a land abutting the water would scream of crab and oysters. I love that certain places, dates and events bring certain foods to mind - that a theater is associated with binge snacking and New Year's Eve demands a champagne toast. There are also instances of foods becoming a custom tradition. I have been visiting the San Juan islands annually since I was a crawling baby. In the last decade it has become habit to visit a little delicatessen on Orcas Island - to buy their homemade hummus. It comes in a little tub drizzled with olive oil, dusted with paprika. The carrots and cucumbers I use to scoop that hummus are mere vehicles - delivering this prudently balanced condiment to my impatient mouth. I have had a lot of so-so hummus, some too garlicky and others over-pureed. Sometimes it has been on the shelf too long or someone added too much tahini or too little lemon. 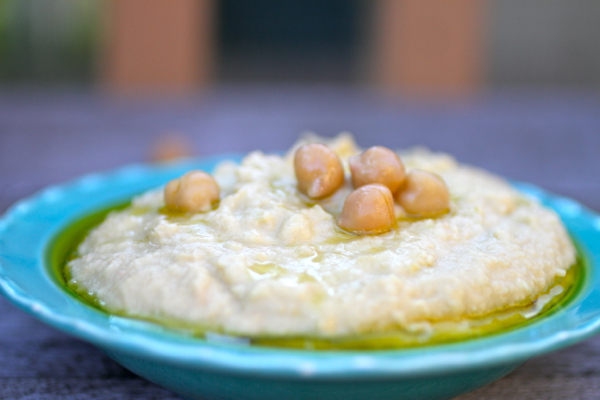 Recently I was asked by California Olive Ranch to whip together a recipe that showcased their olive oils - I couldn't resist my hand at hummus-making. Dare I? In fact it is easy - a word I love to prefix any recipe - and you can make it too. The key is: balance. So tasting a few times along the way is key. 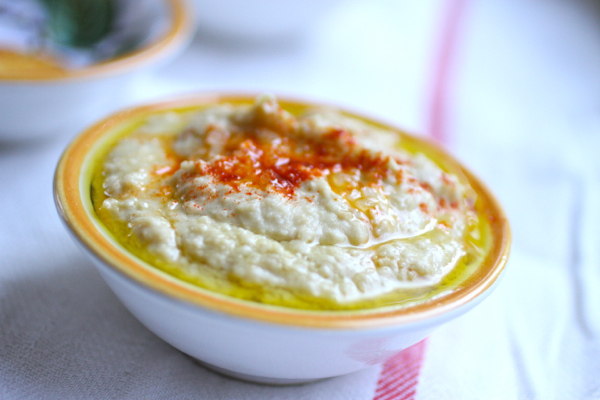 You don't want it to scream of garlic or slap you the face with tahini. You shouldn't wince at the strong acidity of lemons or taste just the olive oil. You want enough of everything - and not too much of anything. 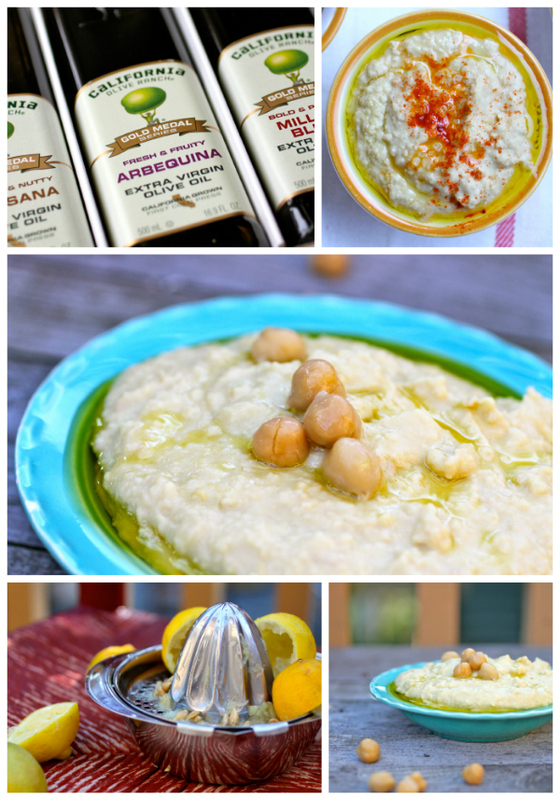 Note: I will be showcasing my hummus recipe---and speaking about olive oil varietals---at the upcoming International Food Bloggers Conference (Seattle Sept 21-23) along with fellow bloggers Erina (blog: Shut Up & Cook) and Carolyn (blog: All Day I Dream About Food). Add first 5 ingredients to blender. Pulse to combine. Slowly add olive oil, pulsing to combine (don’t overmix). Taste and adjust w/ lemon juice, salt. Look and adjust w/olive oil for desired consistency. To serve, drizzle top with olive oil and a dash of paprika.